Shallow turbulent flows are omnipresent in hydrosystems. Examples include flows past islands, in river confluences and longshore currents. A characteristic feature of a shallow flow is the existence (under certain conditions) of two-dimensional coherent structures (2DCS). This paper discusses and illustrates the usefulness and limitations of reduced dimensionality models in conjunction with hydrodynamic stability theories in illuminating the onset and subsequent dynamics of 2DCS in shallow flows. 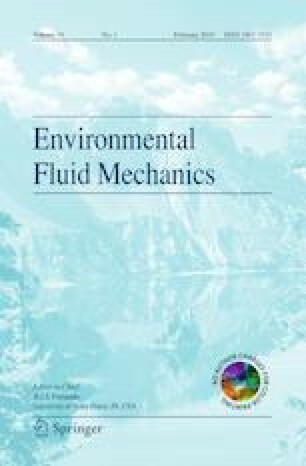 The paper follows closely the keynote lecture given by the second author on the 4th International Symposium on Shallow Flows which took place in Eindhoven in 2017. The paper gives the reader a comprehensive review of the reduced dimensionality models and hydrodynamic stability theories used in analyzing the dynamics of shallow flows. The financial support by the Hong Kong Research Grant Council, Project No. T21-602/15R, is gratefully acknowledged.